Is it possible that what happens with trauma patients at night could undermine all the hard work we’ve done with them during the day? Or asked another way, could improved sleep actually enhance our interventions with patients? We know that disrupted sleep patterns and nightmares are common symptoms of PTSD. But a team of researchers from the San Diego School of Medicine and Veterans Affairs recently began investigating connections between sleep disturbances and PTSD symptoms. The researchers took an interesting approach in designing this particular study. Building on previous animal studies that showed a connection between fear conditioning and disrupted REM (rapid eye movement) sleep, Sean Drummond, PhD and his team wanted to see how daytime fear conditioning might impact human sleep. Drummond and his team suspected that greater levels of fear conditioning during the day would be associated with more disrupted sleep at night. They designed a study that also looked into the relationship between sleep patterns and safety signal learning. Safety signal learning is another form of behavioral training that is used to help participants discriminate between signals that are safe, versus signals that are threatening. For example, this type of training can be especially important for military veterans returning home from combat. The trauma of witnessing roadside bombs hidden in trash bags can make it difficult for a veteran to discern whether or not to respond to a bag of trash as a potential threat. That’s one of the reasons why PTSD can keep the body’s safety system on high alert. To evaluate the connections between sleep, fear, and safety learning, Drummond and his team tested 42 healthy volunteers over three consecutive days and nights. After a night of acclimating to the sleep lab, participants were introduced to a fear potentiated startle (FPS) procedure. This procedure involves pairing a mild shock with a threat signal, as well as a safety signal that is not paired with a shock. The researchers measured startle responses to see how well participants were able to differentiate between threatening and safe stimuli. The investigators also monitored participants’ sleep patterns. The next day, the startle procedure was repeated but without shocks this time. The researchers wanted to see how well participants had retained their ability to discriminate between safe and threatening signals. Not surprisingly, Drummond and his team found that increased safety signal learning during the day was associated with greater REM sleep during the night. But what makes this study really interesting is that improved overnight REM sleep was related to a greater ability to discriminate between threat and safety the following day. In other words, a better night’s sleep could be contributing to a person’s ability to store and remember safety cues. Now there are a number of other factors we need to consider when interpreting these results. For example, it may be that people who more easily adapt to fear, or who more easily learn a sense of safety, are also able to adapt to a new sleeping environment more quickly. Further research is needed to investigate the complex relationship between sleep difficulties and PTSD so we can apply these findings in our work with patients. Although not conclusive, this research could offer important clues about the connections between PTSD, sleep, and how traumatic memory is updated and stored in the brain. If you’d like to read the study in its entirety, you can find it in the Journal of Neuroscience, volume 34, 2014. 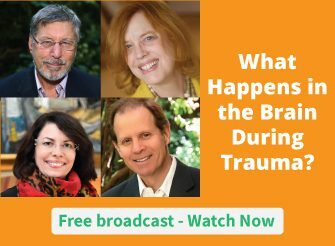 How have you worked with sleep difficulties connected with trauma? If you wake during the night feeling anxious about something, make a brief note of it on paper and postpone worrying about it until the next day when you are fresh and it will be easier to resolve. I had a traumatic childhood, but as an adult, for the most part, I sleep well. Occasional nightmares, and insomnia, but usually get through the night with little problem. However, if guests sleep over, my sleep is very disturbed. Feel hyper-vigilant, as though the others pose a threat. First of all, this is an important issue for me as a survivor of severe childhood abuse. However, I can NEVER condone animal studies, regardless of what the benefit is to humans. It is simply so selfish and cruel. We have to stop thinking that we are so valuable and compared to us, animals are worth the sacrifice. Wrong!!! So building on that kind of study is building on a weak, cruel foundation. All you have to do is ask any or all of us with PTSD – whether from childhood abuse, war or anything else – yes, we have problems sleeping! If you need more research, do it on people, don’t subject animals to any of the perversions humans are capable of! Please, base your research on non-animal based research – it isn’t hard to do. If you have any kind of Buddhist affiliation, you know of their respect for animals, so please – follow their lead! I was hoping for an amazing breakthrough… I’ve had disturbed sleep for many years, I had misdiagnosed CPTSD for over 20 yrs then a child and partner who both disturbed what sleep I did get. I do all the sleep hygiene steps, dark room, no electronics, in bed by 10pm. I meditate an hour a day mininmum and live a very quiet reflective life full of contemplative practices. I find that on the 2 wks of the month I supplement with progesterone I do better but when it gets really bad I use zopiclone. I will check out the links others have offered but really look forward to that great breakthrough! I share this regime with my coaching clients and encourage them to seek other strategies. We’ve all tried homeopathic and herbal remedies with limited results… At least meditation helps you not to need as much sleep and most days I cope just fine. Travelling is a challenge and so are uncomfortable beds!! I do have PTSD from childhood and the sad part of it is I don’t have any REM sleep. So people have no idea what those of us with this issue go thru. Even when your asleep you are never in that deep REM sleep and you rarely if ever dream. I was told your mind is like a computer and REM sleep gets rid of the Trojans, and Viruses in your brain, and if you don’t have this they stack up. A doctor put it bluntly that I have been thru Hell all my life. And I must admit I do feel like that after a night’s sleep sometimes. Did the doctors ever offer a medication for lack of REM sleep? I had a medication xyrem for minimal to zero stage 3 and 4 sleep, as a sleep study showed – which manifests in ability to sleep ALOT during the day, or desire to – since I work (sleep 14 hrs on sat and sun). But I wonder if the medication also would help in getting REM sleep. It is so true if you don’t get REM you don’t get to process all that junk out (as I have heard too). I often say after a nap with lots of weird dreams, oh good I guess i needed to get all that psychoses out…lol. I stopped the medication because I would wake up after 6 hours and apparently sleep is also a hobby and I wanted more of it because I like it. That’s a whole other issue. But I get the REM, just not the other deep 3 and 4, without meds. You need your REM, look up xyrem? Ah, so THAT’S why my first comment didn’t look like it poestd when I poestd it, but now it’s there the default must be comments require moderation ? I hope you can get that fixed (if you consider moderating comments to be an unnecessary nuisance which it seems to me it is; if you have spam or flaming problems here, I have not noticed them). As an alternative, I wish the software notified us ( Your comment has been received but will not appear until being moderated ) as some of them do. I realize you aren’t in control of that last bit. But now at least 5 of us (counting you) know what’s going on. If the wobble of my ‘tightrope’ upsets my balance i reach for this…”…you are magnificent in your differences, and there is great love here for you, leading edge creators – on leading edge of thought. Feel, the love of source (of your origin), for your evolving perfection” (‘Abraham’ aka Esther Hicks. It seems to be much more common for those with ptsd to have difficulties sleeping, whether falling asleep or with quality. What do you think of those clients (myself as an example) who can sleep 12- 14 hours straight, and then even take an hour nap, much desired, during the day. I work full time but this has been the case from teenager to now, age 44. My counselor says my nervous system becomes exhausted with the social stimulation all day that drains me – the sleep sometimes is not fun, with wacky dreams and such. But is most definitely a hobby and I can fall asleep within a half hour most anytime. Why so different from everyone else. As nice as it may sound, it takes away from productivity and parenting a five year old. Hopefully effective, an alternative to drugs. I am wondering about a link between PTSD and FMS, since sleep disorder is a key factor (chicken/egg none-the-less) in FMS and related disorders. I am not a veteran but have developmental trauma issues. I listened to a couple of CDs designed to help put me to sleep. I had to listen over a year to one particular one to improve quality of sleep. I’m back to rehearsing and not sleeping. I just tried out a Sleep Shepherd from Grommet. Amazingly simple. It’s a cap with embedded earphones. Adjust them to fit in the ear. Turned it on and got caught up in the sound. Just a thought. It isn’t like this is “ground breaking” as sleep disturbances are part of the PTSD syndrome – especially disrupted REM sleep. Many PTSD sufferers even try to avoid sleep as that is when some of the horrible experiences are replayed in their mind as dreams. What would be more ground breaking is: How can we help them get improved REM sleep? There is an excellent text on sleeping- “Healing Night”. Rubin Naiman lets us know that sleep is a ying side- you have to let go. Also what you do in the yang side- caffeine, electronics in the bedroom, and bright lights can disturb sleep. This is just a little bit on the information for sleep. Hope it helps someone! The restorative aspect of sleep can’t be underestimated. From personal experience, I’m firing away on all cylinders when I sleep well & have poor work efficiency when I don’t sleep well. This is exacerbated by a life history of significant trauma. The first thing I would tell my patients is to ensure optimum sleep to heal well & function well. Thank you for your article, Ruth. There is actually very little known about sleep. There is deep regenerative sleep and REM sleep. We cannot survive without sleep and we can also have TOO MUCH REM sleep. If you really want to understand the function of sleep, see what http://www.hgi.org.uk/ the Human Givens Institute has to say. Many “loose ends” about the mind clears up when you read their point of view. John If alcohol or drugs are involved , you might want to try Al-anon. Believe me your not alone. Try meditation. Take time for yourself and connect with nature (and I will take my own advice too ;-)). here is another ‘well-meant’ advice from someone who has heard your story many times in the counselling room. What you are struggling with in regards to your daughter sounds like the book ‘stop walking on eggshells’ could help you as parents to learn to understand her better and respond in a stronger, more consistent and loving way for you and her. I don’t want to diagnose her behaviour as a particular mental illness. there are many people who struggle with this kind of relationship issues and they found the content of this book very enlightening and empowering.